David Omholt is the Chief Executive Officer of The Entrepreneur Authority (TEA), the leading franchise brokerage firm in the country. He also heads up the Franchise Center of Excellence, a training program which educates franchise consultants on the finer points of Franchising. Mr. Omholt has extensive experience in both the private and public sectors, as well as international. Having worked with companies both large and small, Mr. Omholt’s roots are in small business and founded TEA to work with aspiring “franchipreneurs”. 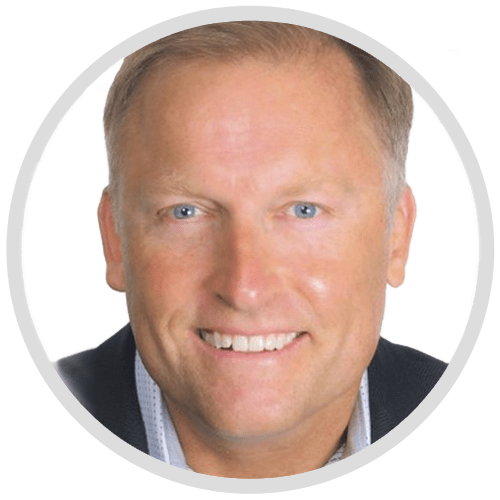 Additionally, he first earned his CFE (Certified Franchise Executive) designation, the highest accreditation in the Industry, in 2005 and has been recertified 4 times since. As well, he has completed both the Franchise Management Certificate program and the Fast Track M.B.A. in Franchise Management through the International Franchise Association (IFA). Mr. Omholt is a frequent speaker at universities, seminars, conferences and talk shows on franchising, entrepreneurship and small business ownership. Members of the IFA have called him one of the top franchise consultants in the country. Mr. Omholt also had the distinction of being on the Fair Franchising Standards Committee of the American Association of Franchisees and Dealers (AAFD) which promotes total quality franchising and win-win relationships between franchisees and franchisors. Uniquely, Mr. Omholt has been both a Licensor and Licensee and offers a balanced, real-world perspective of business ownership. Prior to founding TEA, Mr. Omholt was an Executive with Accenture (formerly Andersen Consulting) for 10 years in their Retail Industry consulting practice. During his tenure with Accenture, Mr. Omholt consulted for many of the Global 500 companies, including: Best Buy, Eddie Bauer, GZS-Eurocard, JC Penney, Kroger, Meijer, Radio Shack, Sears Roebuck, Sears Canada, Sears Mexico, Walgreens, and others. Some of Mr. Omholt’s projects received Global awards for the breakthrough success and turnaround brought to the client. Since founding TEA in 2002, Mr. Omholt has consulted and/or brokered for major franchise brands such as AAMCO, Charles Schwab, Denny’s, Potbelly’s and Sport Clips, as well as hundreds of others in every imaginable industry segment in the US, Canada, and Mexico. Mr. Omholt is often quoted in various publications on Franchising trends and matters. He co-lead research on the Franchise industry in conjunction with the University of North Texas, where he has sponsored UNT’s David E. Omholt Entrepreneurship Scholarship for aspiring entrepreneurship majors. Mr. Omholt graduated from Purdue’s Krannert School of Management and serves on the Dean’s Advisory Council for the College of Liberal Arts. He has been recognized with several alumni awards, including, the CLA Emerging Voice Award, Old Master, and back in 2010, he was selected as a 40 Under 40 in Purdue’s inaugural list. Most recently, in the Fall of 2018, he served as an Executive in Residence at Purdue. He is married with 3 daughters and has an English Creme Golden Retriever named Dakota.